Though the Trump administration may not be planning to develop their own 5G network to prevent "the Chinese" from listening in to our phone calls, it seems they may be pressuring certain US-based carriers to drop Chinese handsets from their device line-ups. According to a Bloomberg report, Verizon has "dropped all plans" to sell Chinese company Huawei's phones directly, including the new Mate 10 Pro. This moves comes not long after AT&T reportedly made a similar decision. It's worth noting that this move does more than take a bite out of Huawei's US-based revenue. Phone carriers and Huawei alike have been pushing to bring lightning-fast 5G networks to their users, with the latter aiming to be the first phone company to release a 5G phone. If this alleged government pressure continues, those plans may be slowed down quite a bit as more Chinese devices are pulled from carrier line-ups over time. It's unclear which branch of the government is involved in this matter but the Trump administration's focus on security is nothing new. Cell phone use was recently banned in the White House's West Wing among staff and guests and, as previously stated, low-level administration officials have raised concerns regarding the possibility of Chinese phone call monitoring. 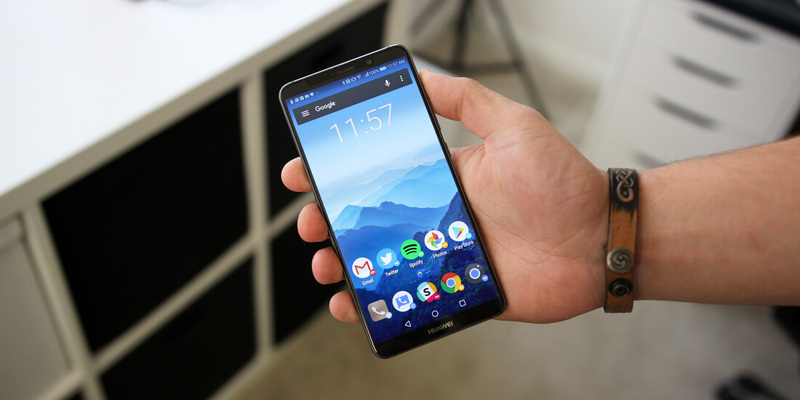 Regardless of their reasoning, dropping plans to sell Huawei's phones could prove to be a controversial move in the eyes of Verizon and Huawei's shared customers. IMO, Trump pressuring businesses to do anything is the first step in authoritarianism and a step away from democracy. 5 bucks says Apple/Samsung...k-street lobbyist for Apple/Samsung paying off congress/senators who tell the FCC, which gets its funding from congress...you better tell these carriers if they let Huawei in, well...ummm...ahhh....you might have trouble expanding your network, wink wink. Heck, what smartphone DOESN'T sniff data? Shoot, the government in the USA has been known to drop a net in an area and monitor stuff. Google app store? Apple app store? Privacy sadly unless you live inside a faraday cage, is long gone. I personally think this is just another way for Apple/Samsung to keep pretty much a lock on the carrier store market (smaller bones thrown to LG/HTC etc). Walk into a carrier store, and people see mostly Apple or Samsung devices. People in the USA are "use" to the old 2 year contract of getting a phone for a reduced price. When the contracts went away, they found another way to hook em. Offer the phone on a no interest 24 month payment plan. Still has them hooked for overpriced service for the same two years. Maybe with market saturation, and people unwilling or not wanting to spend 1000.00 or more on a stupid phone, the prices will start to come down. Not sure what the Chinese would get from monitoring my calls, but whatever!